I love making bread machine recipes. It is one of the simplest way to make fresh bread at home without any hassles of kneading and resting the dough. Here is simple wheat-free rye bread recipe bread machine that you must try for breakfast next time. – For any type of bread in the bread machine it is important for the bread pan to be clean and dry. – The kneading blade should be clean. – Add water to the pan. – Add olive oil and vinegar over it. – Add flaxseeds and basil. 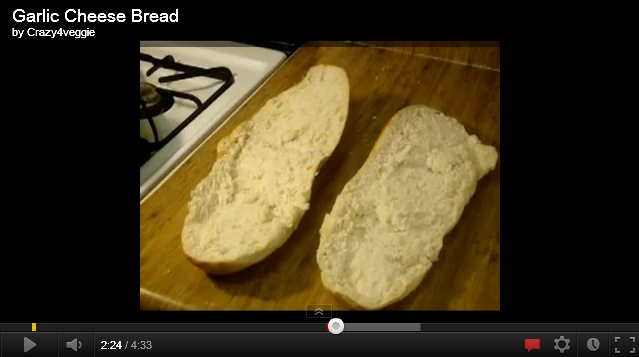 – Add the flours to the bread pan in such a way that it seals the liquid in. This will prevent the yeast from coming in contact with the liquid and delay activation. – Add the yeast in last and add salt. 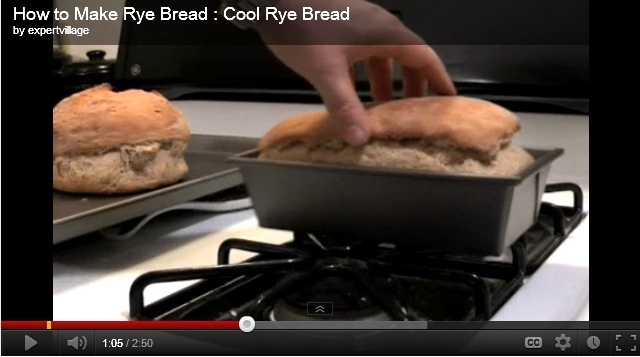 – Cover the bread pan with the provided lid. – Set the bread machine to run on the shortest cycle. – Once the bread is done, remove and let it cool in the pan for 5 minutes. – Remove from the pan and cut in slices to serve. – If you don’t have oat flour you can simply make it at home by grinding rolled oats in a mixer. – If you think that the crust of the bread is soft then simply place it in the center of an oven and bake at 350F for 10 minutes for a crusty loaf. – Thump the loaf and if it sounds hollow then the bread is done and is ready to eat. – You can toast the bread in the oven like regular toast and enjoy with marmalade or jam. Here is an interesting chives Swiss spread recipe that goes perfectly with this bread. – Mix cream cheese and milk until well blended. – Stir in the grated cheese and fresh chives. – Serve the spread with plain or toasted bread. You can store this spread in the refrigerator for a few days. You can also add various flavors in the bread such as nutmeg, garlic, oregano or fennel. Rye bread is a little dense but tastes wonderful to eat. Bread has been part of everyone’s breakfast and Banana Bread recipe has been around for years, most children actually love this nutritious bread. Given below is an interesting and quick banana bread recipe with tasty blueberries that you can make at home in simple steps. Ingredients: – 2 1/2 cups flour – 1/2 cup regular sugar – 1/2 cup light brown sugar (I love the color that the brown sugar gives) – 1 tablespoon plus 1/2 teaspoon baking powder – 1 teaspoon salt – 1/8 teaspoon cinnamon – 1/4 cup shredded coconut – 3 tablespoons vegetable oil – 1/3 cup milk – 1 egg – 2 teaspoons vanilla – 3 medium-sized ripe bananas – 1 cup chopped pecans – 2 cups frozen blueberries Instructions: – Preheat the oven to 350F. – Peel and mash the bananas using a fork. – Add the egg, oil and regular sugar and brown sugar to the mashed bananas and blend using an electric blender at high speed for about 30 seconds. – Add the milk and blend well for another 15 seconds. – Add the shredded coconut and mix well. – In a separate bowl, mix the flour, baking powder, salt and chopped pecans. – Add this mixture to the egg-banana mix and combine all the ingredients. – Add the frozen blueberries to the batter in the end and gently fold them in. – Grease an 8-inch bread loaf pan using a little oil and flour. 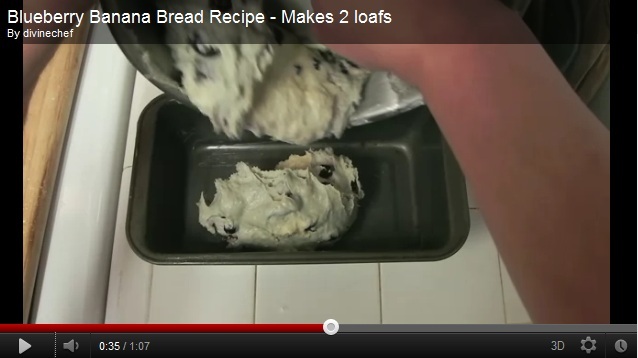 – Pour the batter in the greased bread loaf pan. – Bake in the preheated oven at 350F for about 55-60 minutes. Test using a toothpick inserted in the middle; if it comes out clean then the bread is done. – Let it cool in the pan for a few minutes before removing from the pan. – Cool the bread completely, wrap tightly using a plastic wrap, and keep refrigerated for at least a day before use. There are a number of ways to serve the banana bread. Cut up in slices and serve with warm butter, or you can use any one of the following frostings. Banana Butter Icing Ingredients: – 1/4 cup softened butter – 1/2 cup mashed bananas – 1/2 teaspoon lemon juice – 1/2 teaspoon vanilla extract – 3 1/4 cups confectioner’s sugar Instructions: – Cream the butter, bananas, lemon juice and vanilla extract. – Slowly add the confectioner’s sugar and beat well to get a smooth and fluffy icing. White Icing Ingredients: – 1 cup milk – 5 tablespoons flour – 1 teaspoon vanilla – 1 cup soft butter – 1 cup granulated sugar Instructions: – In a saucepan, take the milk and flour and whisk them together on low heat. – Remove from the heat and let the mix cool completely. – In a separate bowl, beat the butter, sugar and vanilla until light and fluffy. – Add the milk and flour to the mix and beat well till you get a light icing of whipped cream consistency. – Spread on the bread and enjoy! !